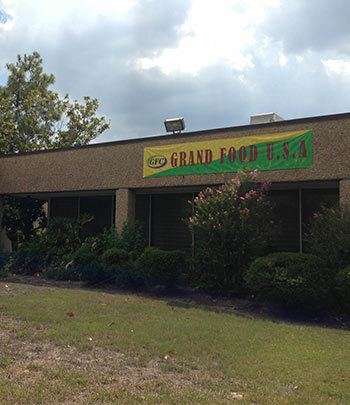 Grand Food Company was established in 2009. Our owners and partners have been in the honey industry for over 30 years and we currently have three plants located in both the United States and Canada. Our main processing facility is located in Houston, Texas, which is home to 70,000 square feet of production space and our 12 acre farm located in nearby Hockley, Texas. Our second plant is located in Elkhart, Indiana with 40,000 square feet of workspace and a 6 acre farm. Finally, our newest equipment is set up in Winkler, Canada with 40,000 square feet of warehouse space to accommodate production. Each location is strategically chosen to ensure that we have blooming flowers all year around. Our company has hired some of the most professional beekeeping experts in the industry. We also work with local beekeepers and train them in beekeeping, cultivation, and collection and bottling honey. Our year starts in Houston, Texas where the flowers start to bloom from February to March, and honey is gathered from roughly February to May. During the summer, we move to the Central U.S. where flowers mature from May to July. Next, we travel to Canada and see flowers blossom from July to September. Finally the bees migrate back to Houston in October and begin the two month incubate period, or nectar storage stage, which occurs twice a year. We prefer to keep the honey stored in the hives to ensure the quality of our product. In order to provide our customers with the highest quality honey, Grand Food Company devotes itself to produce 100% pure North American honey. Our mission is to provide safe, natural, pure, mature, unadulterated honey of honey lovers around the world.